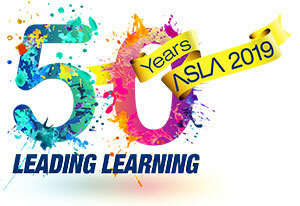 The Australian School Library Association Inc. (ASLA) and Pledger Consulting Pty Ltd (LinksPlus/Weblinks) have pleasure in announcing the winner of the 2006 Australian Teacher Librarian of the Year Award - Carol Miller from Hamilton Secondary College, Mitchell, South Australia. The Australian Teacher Librarian of the Year 2006 is awarded to a teacher librarian who demonstrates a high level of achievement in each of these three components of their role and thus provides a library and information service that improves student learning. The 2006 Australian Teacher Librarian of the Year, Carol Miller, manages a diverse library service at Hamilton Secondary College, Mitchell, South Australia. It is a large, multilayered educational site. Students range from those in year 7 to adult students, 70 years and beyond. It includes a middle school, a senior school, an adult campus and a unit for students with severe and multiple disabilities. Carol is able to meet the needs of all these client groups. “Carol is highly regarded for her energy, her outstanding skills as an information specialist and manager, her willingness to both lead and support, and her commitment to her role. Not only does she keep abreast of curriculum developments across the eight learning areas, she also advises new teachers to the College of the print and electronic resources available for the huge range of subjects. She is a curriculum leader and information specialist as well as a very effective resource manager. She is fastidious about chasing unreturned resources and passionate about ensuring that budget allocations satisfactorily resource the library. Her management of the library is exemplary but her influence does not rest with herself alone. She is an excellent role model for her co-workers and has lifted the level of service provided by all library staff. Her commitment to the service of all staff and students has made her a valued library manager. She is innovative and always looking for better ways of servicing the information needs of the College community. Her influence endures in students who move on to higher education and who have developed sound information literacy skills from Carol’s work…. “Carol has been central to the major developments in the use of IT technologies over the past 10 years. The library is the central point in the College for all mobile technologies and a public place for the modelling of practices…..Carol’s research into her library services has led to recent additions of the delivery of wider programs across the College network. This greatly enhances student learning as it enables individual research work using this medium”. This award carries a $ 1,500 cash prize from Pledger Consulting Pty Ltd and $ 500 Weblinks-LinksPlus products. The award will be presented to Carol Miller by Paul Pledger at an event to be named.